What makes a cake rise? Self-raising flour contains baking powder, which is usually a mixture of bicarbonate of soda, cream of tartar and something called calcium aluminium phosphate. Bicarbonate of soda has lots of carbon dioxide locked up in it, which is let out by reacting with an acid. Cream of tartar becomes tartaric acid when it gets wet, so these then react together and produce bubbles of carbon dioxide in the cake, making the cake rise. Calcium aluminium phosphate only becomes acidic when it gets to a certain temperature, giving extra bubbles, and so an extra rising stimulus, while the cake bakes. Previous Why do streetlights mke the sky glow? Next What information do you get from CT images of the brain? Why does my brain grow? I love you and your videos are so scientific ! 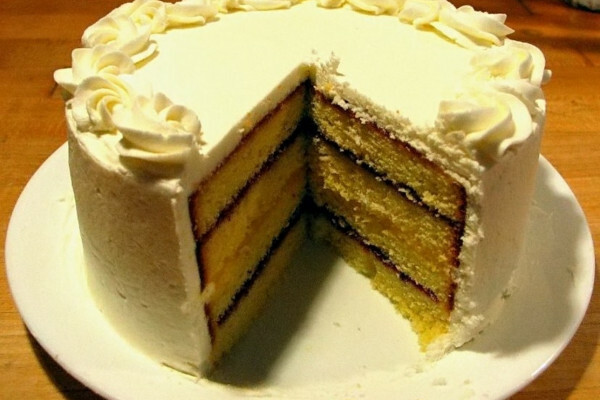 how do cakes have a light and fluffy texture? How about the recipe for the shown cake?